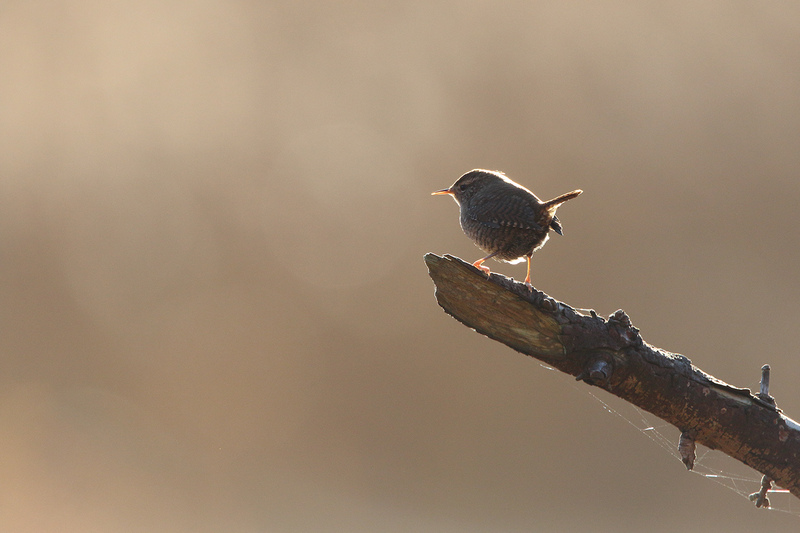 Eurasian Wren against the afternoon sun. There are a number of shots from a very productive morning spent at a local meadow. The light is very sweet in that collection, if I may say so. Likewise, a wren I met on a kayak trip to Æbelø (weird Danish letter alert!!! It means Apple Island) was kind enough to pose against the setting winter sun, producing some attractive shots of a more “artsy” kind than the usual portraits. The new 500mm, with the converter and the 7DmkII, is a game-changer for walkabout wildlife photography – normally you don’t get close enough for useful shots, but with 1120 effective mm that has changed somewhat! Remember to click on the first image to see it in large – the files are generally 1400px wide, so you need a big screen to get the full monty. Little ringed plover – a juvenile bird.